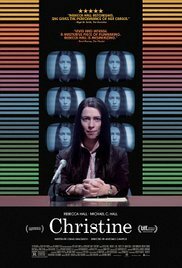 Early ‘70s Sarasota: Christine Chubbuck (Rebecca Hall) is a local news reporter striving to break from the superficial and exploitative pieces that her boss (Tracy Letts) pushes her to cover. Caught in a purgatory between blossoming and wilting, the awkward journalist, who is afflicted with manic depression (and an inability to socialize to the point that, at age 30, she remains a virgin) is intent on making a name for herself somewhere outside their small ABC affiliate. 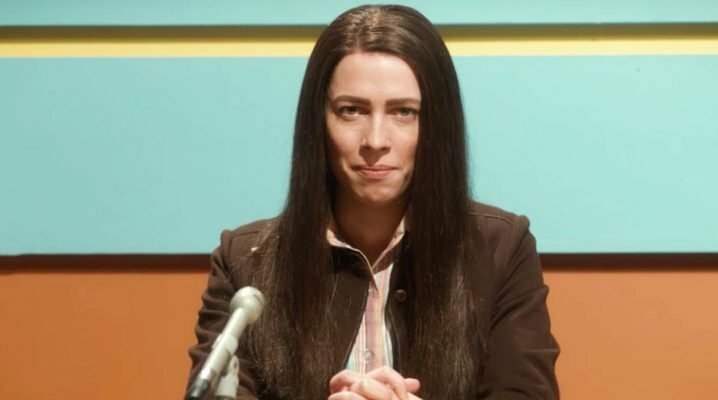 For a stint, the biopic “Christine” makes an interesting, sometimes even titillating character study, but if you’re familiar with Chubbuck’s story, then you’re in it specifically to see how well Rebecca Hall portrays the troubled journalist. Hall is often so convincing that she could be mistaken as a bad actor, when in fact it’s her character who perhaps would have been better served behind the camera than on-screen. This dramatization, which is more suggestive of just how unstable Chubbuck really was than explorative, and the recently released documentary “Kate Plays Christine”, would make an interesting back-to-back viewing, though they might not exactly be considered companion pieces. 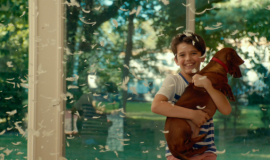 Director Antonia Campos’ movie is, for lack of a more descriptive word, good. It’s worth mentioning that Campos was a producer on 2011’s unnerving “Martha Marcy May Marlene”, perhaps indicative of his interest in introducing psychological issues without professing his ability to analyze them. While pretty conventional from a storytelling standpoint, Craig Shilowich’s script is enhanced by the cast, who tirelessly exude their bizarre idiosyncrasies and the overall feeling that everyone’s personalities are either grossly mismatched or just completely superficial. But the film is not populated by caricatures, even though the wardrobe and scenery might evoke “Network” as envisioned by Paul Thomas Anderson. But if the movie borders on surreal, one might attribute it to the title character’s skewed perspective, and Rebecca Hall maintains a feeling of urgency in her own little world. A tenuous connection with co-worker (and not-so-secret-crush) George (Michael C. Hall) provides a delightful little curiosity (if you don’t Google Christine Chubbuck, that is) and comes up just shy of insightful. But Christine always seems to walk away from each scene more miserable–except for the one fleeting moment in which she appears happy, in retrospect and ironically the scariest moment in the film. Performances are stellar, including J. Smith-Cameron as Christine’s bohemian live-in mother, and her closest-thing-to-a friend Jean (Maria Dizzia), a field camera person who tries to sympathize with her. 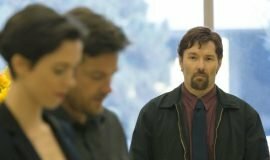 If you aren’t familiar with Hall (“The Town”, “The Gift”), you would find it hard to believe that she’s an elegant, quick-witted Brit, as she’s challenged here with leading a film that relies solely on her ability to be at once enigmatic, bitter, tragically dull, and yet somehow relatable. 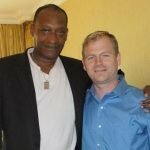 The other Hall (of “Dexter” fame) plays the undeniably good-hearted numb-skullish George, contrary to Christine a spiritual, completely transparent figure. He tries to connect with Chubbuck, ostensibly with romantic intentions, but there’s a more altruistic motivation behind his unrelenting dinner invitations that doesn’t align with Christine’s expectations (though even that remains a mystery). When they end up at a support group with some rather unconventional positive reinforcement and self-affirmation exercises, it’s evident that the very idea of human interaction makes Christine want to wriggle out of her skin. It’s a sad story, ultimately, but told with enough verve and handled with enough care that it doesn’t appear in-and-of itself like an exploitative Lifetime movie and never becomes a slog. I don’t want to overlook Tracy Letts, who steals his scenes as a stressed-out station manager just trying to keep the rating above water so they don’t get shut down. His emerges as the most surprisingly complex character, a tightly wound multi-dimensional ball of anxiety with problems of his own.